Originated in the Swedish city Västerås in the year 1947 as a fashion chain for women, Hennes and Mauritz aka H&M is one of the world’s leading fashion ‘family’ with their accessible fashion ranging from apparels to footwear to accessories. Having expanded its base with 4, 743 stores in 50 countries, the global fashion chain has been endeavouring to make this world more inclusive and sustainable. Taking the notion forward, H&M has recently launched its Conscious Collection exclusively at India’s favourite shopping destination – Select CITYWALK. Antipode to the fast fashion scenario, H&M’s new collection brings together the therapeutic power of nature and the innovative yet sustainable modern day techniques to create fashion that lives beyond the inanimate boundaries and rejuvenates you in its own unique ways. 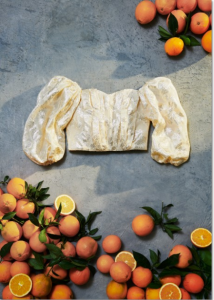 With this collection, H&M takes to the forefront the notion of creative sustainability and development while also introducing new materials including Pinatex which is a natural alternative to leather and is made from pineapple leaves after extracting the cellulose fibres. Apart from this, BLOOM foam and Orange Fiber are all the rage at the Conscious Collection. The Conscious Collection by H&M perfectly amalgamates nature and the baroque elements via newfangled designs, shapes, prints, and textures. Exploring the verdant beauty, the collection features unique prints and flowy silhouettes. Apart from this, the handsome colour palette along with remarkable detailing makes the designs all the more appealing. This high-performing yet easy-to-wear fashion has been able to strike the perfect balance between style and comfort. Employing a fascinating blend of fabrics like organic silk and recycled lenin, the endowed designers at H&M have been able to transform the core elements of nature including minerals, trees, plants etc. into exceptional designs. These designs carry forward the notion of our well-being as allied with nature. Moreover, with natural hues like lavender, sand, aqua blue, coral pink, black along with metallic hues like gold and silver, the colour palette of the Conscious Collection is beyond incredible. Gear up yourself to welcome the Conscious Collection by H&M – A recurring collection of delightful designs inspired by nature and created in tandem with sustainable techniques and materials. Perfect for both special occasions and relaxing day to day moments, it lets you celebrate the onset of the new season in a rather ‘natural’ way. So shop your summer favourites from #HMConsciousAtCitywalk from 11th April 2019 onwards and swathe your wardrobes like never before!